Can .exe and .msi files (Windows software) be installed in Ubuntu? Wine compatibility layer from the Software Center, you can install Windows applications in Ubuntu. Be warned though that not all applications work perfectly or without glitches. Some applications are even unusable, while others work perfectly (see the Wine Application Database for a good idea of how well various programs work). see How to install and configure Wine? to help you to install this. Once Wine is installed, you can simply double click an .exe or .msi file to run it. If this doesn't work for some reason, right-click the file and select "Open With Wine Windows Program Loader". Of course, only run executables from sources you trust to avoid Windows malware. If you run into compatibility issues, you may wish to try the latest Wine Beta version from the ppa:ubuntu-wine/ppa software source (see What are PPAs and how do I use them?). You might also consider installing Winetricks , CrossOver or CrossOver Games to install and use software more easily. To see the debug output of Windows software (in case something goes wrong) run it from a terminal using wine msiexec /i file.msi or simply wine file.exe. .exe files are not binary-compatible with Ubuntu. There are, however, compatibility layers for Linux, such as Wine, that are capable of running .exe. Ubuntu is a completely different system than MS Windows. Not only it looks differently, but it also uses different mechanisms for its core functions. The problem with .exe files is that they are specific to Windows. No other system is capable of running them, because their contents are designed to work on a Microsoft's system. Linux uses different standards, different concepts, and therefore Ubuntu applications need to be adapted to them to work correctly. If you have just migrated from Windows and are doing your baby steps with Ubuntu, you may be indeed surprised that .exe files fail to run. There may be different symptoms, either an error message may appear, or there may be no effect at all when double-clicking an .exe. This all happens, because Ubuntu has no idea what should it do to run that file. Ubuntu is not knowledgeable about how MS Windows works "behind the curtain", and therefore it can't execute the code that's within them. In technical jargon, one says that Windows and Linux executables are not binary-compatible. The first thing you should do is to realise that most likely you do not want to run that .exe file. Most Windows applications you are used to have their Ubuntu alternatives in Ubuntu Software Center. Therefore the very first step when you try to run an .exe file is to check whether there is a Ubuntu version of the same application (like Firefox - it has both a Windows and Ubuntu edition), or a close alternative, which is not the same app, but does 99% the same stuff. For example, if you want to compose a document, instead of MS Office you will want to use LibreOffice. How can I find an alternative? Launch the Ubuntu Software Center, type in the search box what kind of application you are looking for. For example, typing in "photoshop" finds The GIMP, which is a great advanced image editing tool, and is a great substitute for Adobe Photoshop. Many Windows applications are also available for Ubuntu, and have their identical version in Ubuntu Software Center, which is the preferred way of installing software in Ubuntu. Search Ask Ubuntu (this very site). There are many questions here that explain what applications can be used as substitutes. Also, do not forget to ask a question if you need software-recommendation. This Ubuntu Help page contains great tips when seeking for alternatives. You are trying to run an application of which alternative makes no sense. In case of most video games you will want to run them and not an alternative. You may want to run the original application instead of an alternative, because the alternative is not good enough. For example, many people consider Photoshop to be a much better editor than The GIMP. This is a very Windows-specific program, that makes little sense on Linux. Luckily, you can get .exe files to run on Ubuntu. What is Wine? Well, technically it's a compatibility layer. What it means is that it provides an environment similar to Windows to any .exe application you try to run. Therefore, with WINE .exe files will run on Ubuntu. Searching for "wine" in Ubuntu Software Center. Running the command: sudo apt-get install wine. Details on installing WINE can be found in this question. Okay, so I installed WINE. Now what? Proceed to launching your .exe file! Double-click it, and with a bit of luck everything will seem like on Windows. Voilà! WARNING: Not all applications will behave correctly when run with WINE. WINE is by no means perfect, and because it pretends to be a Windows environment instead of actually being a real one, some applications may malfunction. Common problems may include incorrectly displayed fields, fullscreen issues with video games, copy-protection problems. Some of them can be solved with litte hassle, make sure to check the WINE application database and use google to find hints in case your .exe does not work correctly. There is another tool you may like which aids you in running Windows applications. It's called PlayOnLinux (website) and it supports quite a wide range of software (browse). What it does is it runs a specific version of Wine which is known to work best with the application you are willing to run. It also installs additional paths to provide maximum compatibility with Ubuntu. But you don't need to know about that; everything is done automatically. Because of that, PlayOnLinux tends to provide the best results in case of running a widely known piece of software, including many video games. Instead of double-clicking the .exe (which launches it with WINE), run PlayOnLinux application. Select "Install" button on the toolbar, and choose what application you wish to install. PlayOnLinux will guide you through the installation process (of course you will need installation media). Once it's done, your installed application will be displayed in PlayOnLinux main window. Double click to launch it! If you are not satisfied with WINE, there are some commercial softwares that runs Windows applications on Linux. One of the most well-known is CrossOver. In some cases it has significantly better results, yet it is not available for free. get it by going to the Ubuntu software center. Install "Wine Microsoft Windows Compatibility Layer"
Next you need to tell Ubuntu that this is a program. That's all, the program should now run fine. I've tested this using various pieces of Windows software, including the Windows version of Mono. For applications that do not work in Wine, you can use Virtualbox by installing a Windows in the virtual machine. 3D acceleration is supported in Virtualbox. Wine is not a perfect answer, as you will probably many compatibility problems. You might consider first checking up on your application at WineHQ.org. Platinum is the best level, then Gold, Silver, Bronze, and finally Garbage. If you want to run games, you can try special versions of Wine like PlayOnLinux (free) or CrossOver (payed). Otherwise, common applications should work well enough with a little configuration. First of all an .EXE file is a Windows Executable file. In Linux and other *nix based systems we do not use .EXE as file extension for program executables. Rather we set the permission for the program to be executable by using chmod command. Secondly your question is too broad. Which '.EXE file' by which I assume you are trying to run a Windows Application are you trying to run? There a program called WINE which has ability to run Windows Programs to a various levels of success. However you are strongly suggested to use a native alternative app, because it will perform better and better integrate with the desktop. You should be aware that Ubuntu is a totally different OS to Windows. The file structures are incompatible. So .exe files are designed for Windows, not Linux. Therefore they won't work. Having said that, there are some .exefiles that work well in Linux (Ubuntu) through a program called wine. The latest stable version should be in the software centre. My strongest recommendation though - before installing wine - is to go to the developers website and familiarise yourself with what it can and can't do, and what windows programs are known to work with it. Finally, there are 1000's of apps that are designed for linux that do much the same things that windows apps do. Many are cross-platform, like VLC, Firefox to name a couple. Well windows 'exe' file won't run on linux it's different breed of operating system. You could install wine an then try again. Works very well in most of the cases. And give ubuntu a fair chance, you don't need Windows in most of the cases. You are just under impression that this is necessary part of computer experience. Aside from a WINE implementation, if you've got a copy of windows laying around, you may also want to look into VirtualBox or some other virtualization technology. A con in using a VM(virtual machine) is that they are generally reserved for upper end machines as they are an OS inside of your OS that takes up additional OS resources. a pro would be that they are easier to backup and re-instate in-case of a catastrophic software failure. The Wine PPA indicated above is helpful, however I will note that you don't have to use beta packages if you're using the PPA. The wine1.5 package will give you the latest beta package, however the wine1.4 package will keep you at the stable Wine 1.4 release and not expose you to regressions. You can also just install the wine package for the latest stable version. Yes, as others have said, you can use wine to run Windows programs. Once wine is installed, you can run a Windows executable by right clicking it and clicking 'open with wine Windows program loader' or using the terminal as explained above. You should check here to see if/how the program can be run in wine. Lots of programs will not work perfectly or will need extra configuration to run. A program called winetricks (see http://wiki.winehq.org/winetricks) may make things a bit easier. Always try to use native software or free alternatives if possible. You can search for applications in Ubuntu Software Centre - programs from here will work much better and will need little configuration. 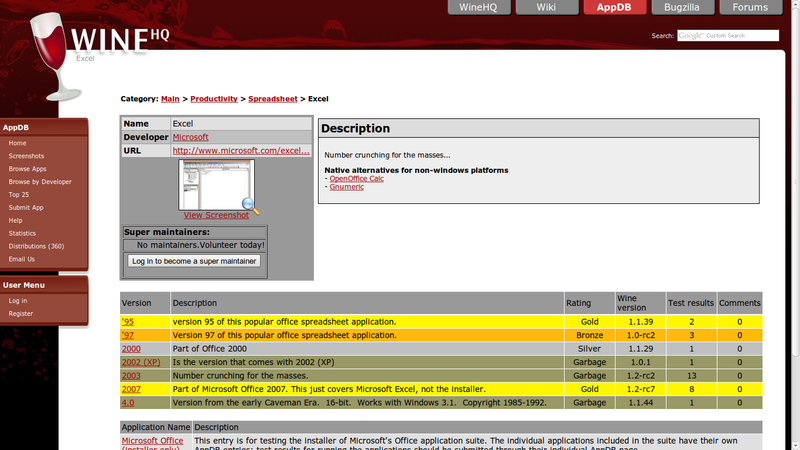 You can also look on this website: http://www.osalt.com/ for free software alternatives to proprietary products. As others have said, Wine is usually the best option, but in some cases you can see better performance using Mono. However, for the program to run under Mono, the program must be a .NET application, and even that isn't a guarantee that the program will run without some hand holding. To recap, Wine is a safe bet, but Mono is installed by default in Ubuntu and can handle many simple .EXE files that are .NET applications. Maybe a proper error message should tell you that .exe files are specifically create to run in a Windows environment. There are plenty exciting ways to handle this situation but they all need a little time and effort to get informed and understand. If you anyways plan to use Windows which is perfectly fine because you are free to chose then it might be advisable to just wait for your Windows installation and then you can run your .exe files. Good luck and decide carefully! This will let you right click any .exe file to open with wine loader. Not the answer you're looking for? Browse other questions tagged windows wine games or ask your own question. How can I install MS Office 2013 on my ubuntu 16.04 laptop? How to install Windows games on Ubuntu? How can I install Microsoft Word & Excel in Ubuntu 14.04? Is there a way to run .exe in Ubuntu? How to install iTunes on Ubuntu Desktop 18.04 LTS? How do I install sketchup on ubuntu 15.10? How can I run Windows applications in Ubuntu? How can I Play Windows games in Ubuntu 11.04? How do I open .exe in ubuntu without wine or any other windows compatibility layer? Software Deployment for Windows Computers?